The 2019 Accolade is on sale now for $60—through May 3, 2019. Don't miss this opportunity to purchase this one-of-a-kind book at a reduced price! Place your order today at bit.do/norwellyearbook or bring your check or cash to the high school office. 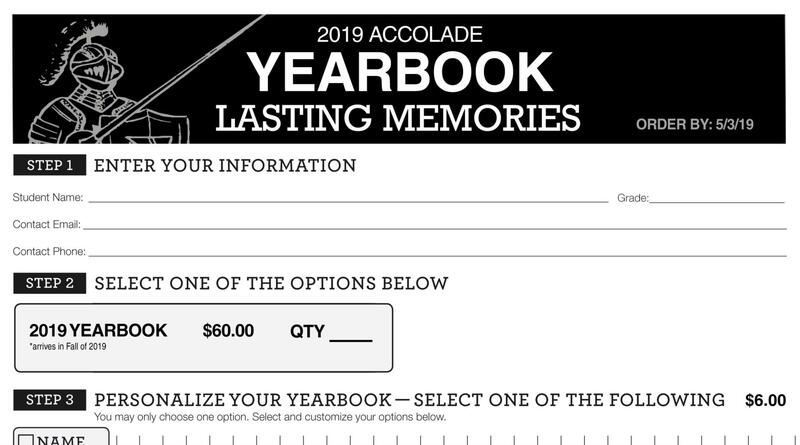 The 2019 Accolade yearbook can be purchased online now for $60 [credit card and debit card].